Tony DiTerlizzi has been a master of cliffhangers and teasing as of late. He has been revealing pieces of art on his blog that lead to the final reveal of the cover of the final book in the WondLa trilogy, The Battle for WondLa. You know what that means, we will have a post-partum syndrome when this series finally comes to a conclusion. Ever since Spiderwick Chronicles, Tony DiTerlizzi has become an essential part of my collection and reading list. His works may have been directed for younger generations of readers, but his art is so intricate and timeless that any art lover would love to collect all his books simply to have a complete gallery of his watercolor paintings. 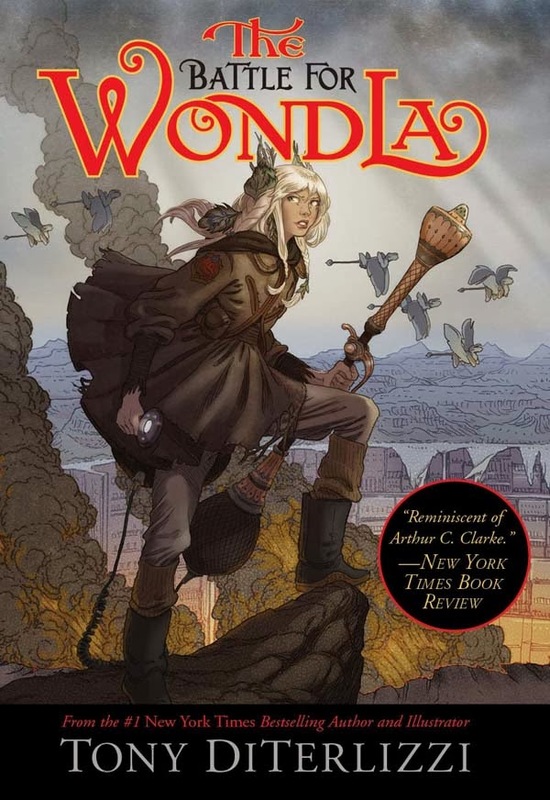 Here is the official cover of The Battle for WondLa by Tony DiTerlizzi. Here is the clean and full jacket version of the said cover art. 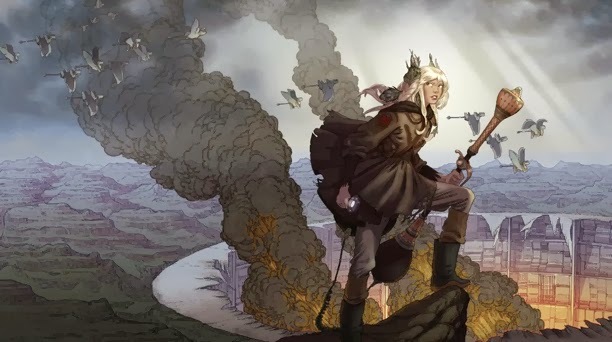 Tony DiTerlizzi is a New York Times bestselling author and illustrator who has been creating books with Simon and Schuster for more than a decade. From his fanciful picture books like Jimmy Zangwow’s Out-of-this-World Moon Pie Adventure, Adventure of Meno (with his wife, Angela), and The Spider & The Fly (a Caldecott Honor book), to chapter books like Kenny and The Dragon and The Search for WondLa, Tony always imbues his stories with a rich imagination. His middle-grade series, The Spiderwick Chronicles (with Holly Black), has sold millions of copies, been adapted into a feature film, and has been translated in more than thirty countries. You can visit him at DiTerlizzi.com. The Battle for WondLa, the final book in the WondLa trilogy, will hit book stores on May 6, 2014 and is now available for pre-order at Amazon.